From promoting healthier looking skin to encouraging a good night’s sleep, a spa day brings along many benefits. If treating yourself to a visit to the award-winning Devonshire Spa isn’t enough, here are our top reasons for booking a spa day today. A good night’s sleep is glorious – but can often be hard to come by. Savour the soothing warmth of our award-winning thermal facilities before getting comfortable in our relaxation lounge. The calming music will transport you into a much more relaxed state and allow you to enjoy a much deeper sleep than you would if you went to bed stressed. If you really struggle to sleep, the [ comfort zone ] Deep Sleep treatment is a fantastic way to induce relaxation and aid a full, deep sleep. Circulation is the process which transports oxygen and nutrients to your body’s organs via the blood, so the better your circulation, the better your skin, organs and overall health will be. Any massage therapy is a great way to boost your circulation, but in particular we would recommend our bespoke Indian Massage, which is designed to specifically improve your circulation. The holistic approach at the Devonshire Spa ensures that all guests are treated with their comfort and wellbeing in mind. There is a range of treatments which can be tailored to your specific concerns, targeting any problem areas such as stress and tension, leaving you fully relaxed, restored and revitalised. When you enjoy a Spa Day with a loved one, it gives you a great opportunity to reconnect, catch up and reinforce your bond. The peaceful surroundings and soothing spa facilities offer a great way to relax in each other’s company without the typical strains and stresses of everyday life tearing you away from each other. You needn’t be scared going solo on a Spa Day. Many people do! If you’re searching for a place to escape to which offers a welcome refuge and somewhere to recharge and reflect, then the sanctuary of the Devonshire Spa is it. No televisions, no mobile phones, and no outside distractions mean it’s the perfect place to sit and unwind, revelling in that all important alone time. 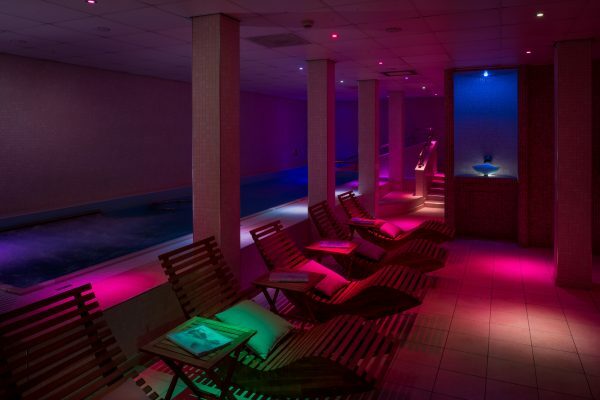 To find out more about our treatments or to book a day at the Devonshire Spa, contact our friendly team on 01298 338408.